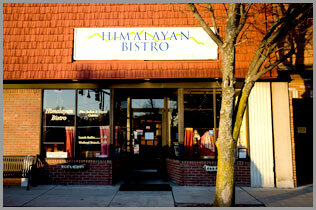 Himalayan Bistro is proud to be the first Nepali restaurant in the Greater Boston area. Nepal food is very healthy, nourishing, practical and tasty. It is not fattening! All of our dishes are prepared similar to the way the Nepali royal family is served. As you are our guests, we want to serve you like royalty also.Our menu also includes Indian cuisine. Our dining hall is elegant with a high ceiling. We also have authentic music and antique statues for your enjoyment.